God of War 3 Remastered (PS4): Usually I skip any “remastered” version of a game (which is ironic because the other game I’m going to talk about is remastered as well. HAH! ), but since I don’t currently own a PS3 and never played GOW3, I figured I’d give into the cash grab. 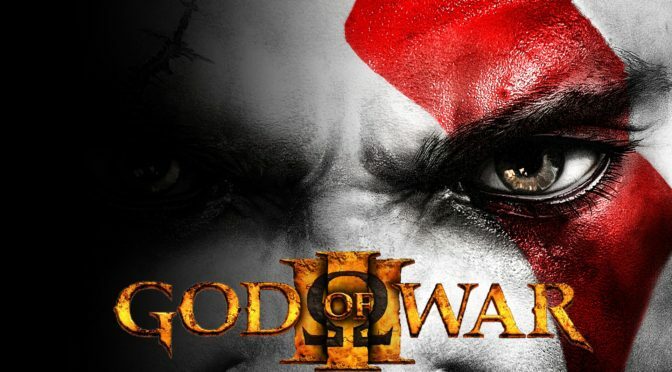 I’m a huge GOW fan (I own every one in the series, besides the PS3 version), and from what I’d heard this game was amazing. A�I strolled into Gamestop (I go once or twice a week), and grabbed a preowned copy off the shelf. A�While I was mulling over if a used copy was worth $25, another customer walked up to me holding GOW3. He was about to trade it in (re: get lowballed) and wanted to know if I was interested. $10 later we both walked away happy. I saved myself $15 and he probably got about $5 more than what they would have offered. Ok, great story, but what about the game? Well right away the graphics jump out at you..the game is gorgeous. A�It’s essentially the same gameplay though, solve puzzles, kill things, fight giant bosses, upgrade weapons and Magic,..etc. I think some people were turned off that not much changed, but to me, this series has been gaming perfection, so if it isn’t broken, don’t fix it. A�The story has the same general premise as the others; kill Zeus. The boss fights last longer than the older GOW titles in my opinion and feel more epic. My only complaint is the QTE’s (quick time events). There seems to be more of them, and while not especially challenging, they can be annoying after awhile and take away from the fast paced combat. A�All in all, it’s a typical God of War game which means that it’s pretty close to perfect. Now would I run out and buy it if I already owned the PS3 version? No, I’ve seen the side by side graphics comparison and while the remastered edition is slightly more polished, I don’t think it’s worth spending the extra cash on a remastered edition…unless you can get it for $1 0. Ducktales Remastered (360): I actually used to own the original NES version of this game. It was a childhood favorite of mine, and to be honest, ranked right up there with Mario as far as platforms go. A�The remastered edition still holds its own and is just as fun as the original. A�The levels and bosses have been A�redesigned so it feels like a new game even if you played the original. A�The graphics make you feel like you are in an episode of Ducktales, and are obviously a vast improvement over the original. You control Scrooge McDuck as he travels the globe in search of artifacts and treasure, while attempting to stop Magica DeSpell from taking Scrooge’s #1 dime and hatching her evil plan. A�Some reviewers have said that this game doesn’t hold against newer Mario titles, and while I agree for the most part, I feel that the only things that held this game back are the massive amount of cut scenes that the developer added to make the story flow, and the overall length of the game. A�While there are hidden areas to find and explore it feels like Ducktales can be beaten in a night and the cut scenes are really, really annoying after awhile (even if you can skip them, which you will find yourself doing A LOT). A�To be honest, Ducktales Remastered would have been graded higher without the cutscenes. Still, this title is worth picking up if you get a chance and are looking for something light hearted to play or just looking for something to play with your kids.